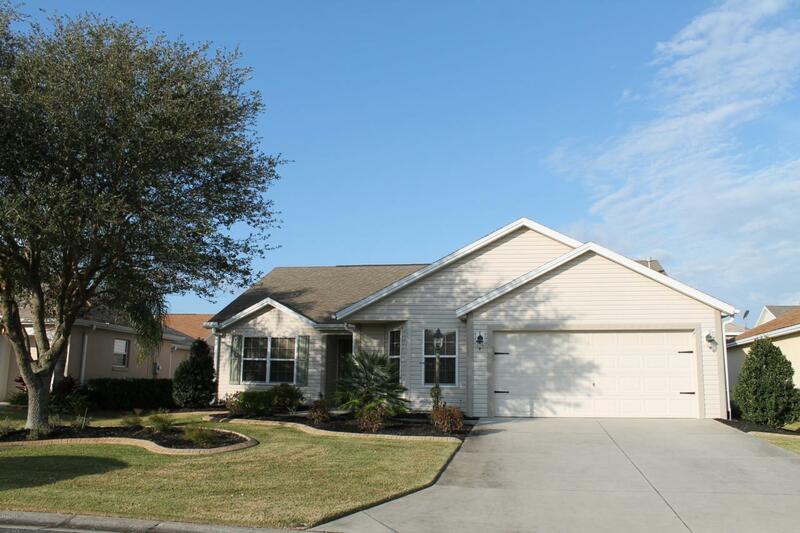 Looking to be near the Lake Sumter Landing Town Square? LOOK NO FURTHER! This home is it! Talk about location, location, location! Don't delay on this one! Located in the Village of MALLORY! 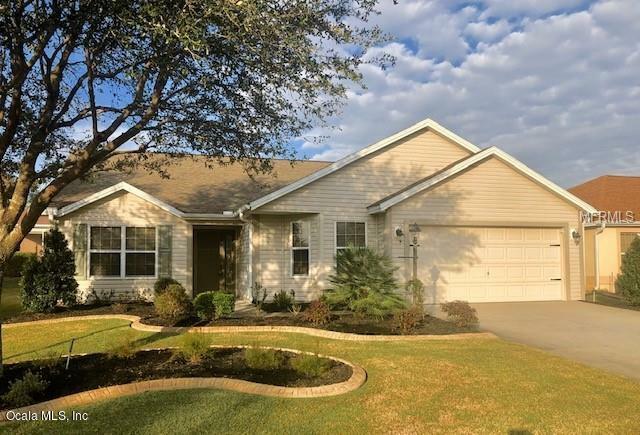 Minutes to Lake Sumter Landing Town Square, not to mention how convenient to the pools, Recreation Centers (Coconut Cove) and Mallory Hill County Club! 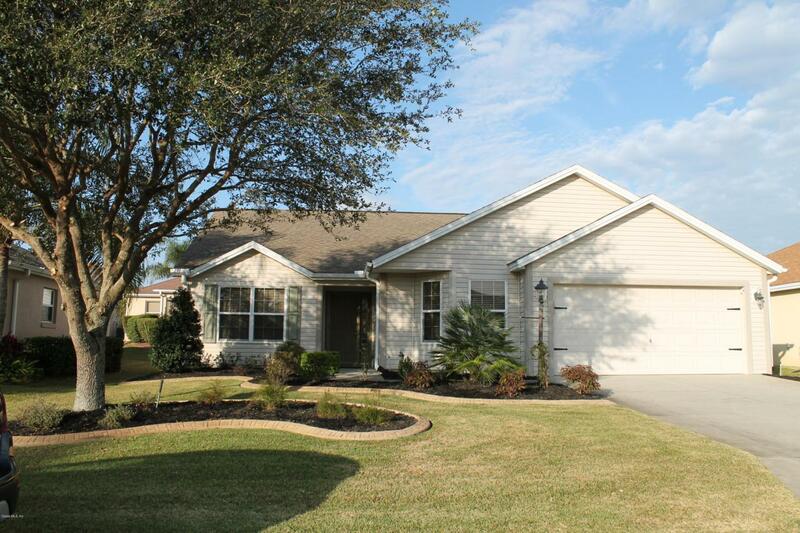 This Wisteria model is just calling your name! For those who are looking for a home that doesn't have a ''kissing lanai'' THIS IS IT! Great Privacy. Curb appeal? Got that too! Let's talk about this master bedroom! WOW, is all that can be said about the closet....might need a road map to find your way out - it's that large! Walk in Shower is another great feature this home offers! A must desired master shower! Must see ! If you must have gas to cook.....GOT IT! You'll love the beautiful maple cabinets, just a great kitchen space! Stretched living room features beautiful easy care laminate flooring, bedrooms have carpet, and tiled kitchen! Light and Bright as the home features a solar tube in the main room! This is just a great home and really the location is the highlight of this home! Added bonus....BOND PAID! Yippe! This one is a must visit!